"It’s not often you watch something on television you’ll never forget." - Clare Pelham, CEO, of Leonard Cheshire Disability. The programmes took the inspiring everyday hero quality of many disabled people’s lives and connected it to the TV viewers own needs to escape from humdrum routines." 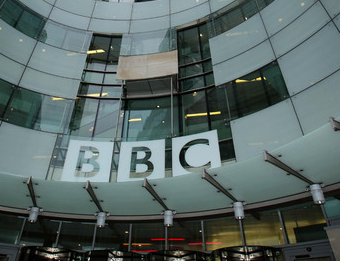 They were referring to the BBC's Defying The Label series of programmes, broadcast on BBC Three - a channel that the BBC has spent the last year dismantling and preparing to move away from TV. Perhaps unsurprisingly, within a short time of these comments being published on the Corporation's About The BBC blog, they were removed. After all, it would only give ammunition to those who object to the changes to BBC Three, providing proof of the value of the channel. 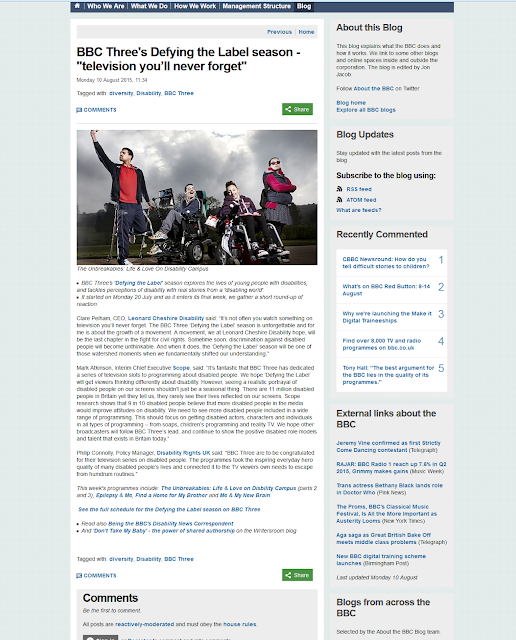 “It’s fantastic that BBC Three has dedicated a series of television slots to programming about disabled people. We hope ‘Defying the Label’ will get viewers thinking differently about disability. or just not shown anymore. BBC Three’s 'Defying the Label' season explores the lives of young people with disabilities, and tackles perceptions of disability with real stories from a 'disabling world'. This week's programmes include: The Unbreakables: Life & Love on Disbility Campus (parts 2 and 3), Epilepsy & Me, Find a Home for My Brother and Me & My New Brain. This page was removed shortly after it was published. Update - Thursday 13th August: It took a few days, but the BBC has now re-published the comments, first deleted on Monday as part of a brand new blog post. The quotes deleted in the original blog post have been extensively shared across social media.